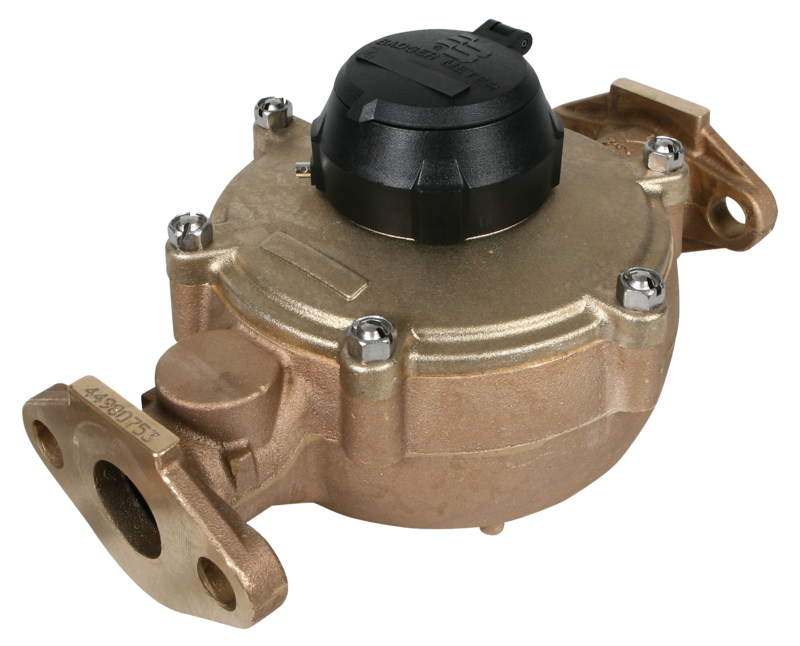 QMC supplies water meters for residential, commercial, and institutional applications. Water meters can be supplied as stand-alone, wireless, manual read meters or as part of a complete automated system. Applications include tenant water submetering or management of large loads such as irrigation and cooling systems. Top quality meters that will ensure NSF-61 compliance for any meter used for consumption. Some properties only require a stand alone few water meters to monitor key tenants or house loads. 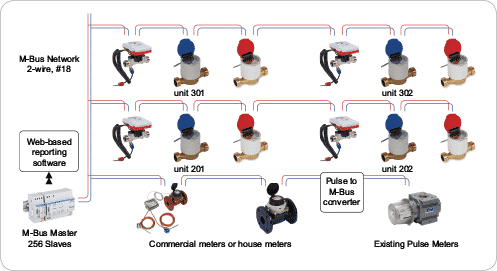 QMC stocks inline, manual read water meters ranging from 3/4″ to 3 for these applications. QMC also supplies insertion water meters for larger pipe sizes. Please call your QMC representative for price and delivery on these meters. For complete water meter systems, please see the below sections. For automated water submeter systems, QMC supplies GWF M-Bus enabled meters. This Swiss-made meter line offers top-of-the-line accuracy and reliability. M-Bus communications provide absolute register reads, which ensures meter data integrity. Please ask us for more information on the GWF meter system and M-Bus communications. For stand-alone and large commercial water submeter applications, QMC supplies Badger RTR water meters. American-made and known for utility-grade accuracy and durability. All Badger meters come with a digital pulse output. QMC wireless encoded hot and cold water submeters system with wireless communication capabilities. Multi-residential and retail developments nearing completion or retrofits can get all the benefits of a wired M-Bus system, now with wireless technology. Sold as a complete wireless solution including GWF hot and cold water meters and MeterConnex, QMC’s web-based technology that easily turns meter data into reports, tenant billing or analytics. 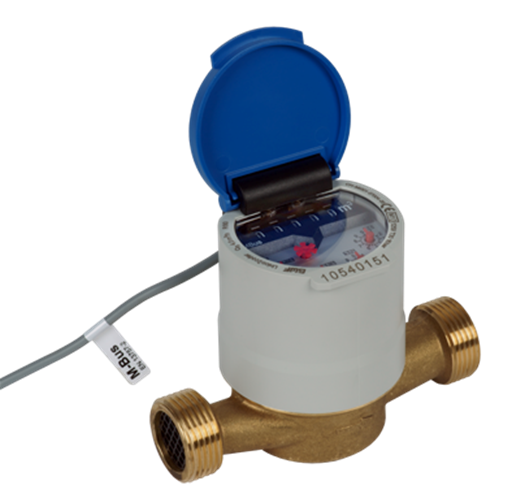 Learn more about QMC’s wireless water meter solution here. 1. MDT – The QMC Wireless Metering Data Transceiver records data from the encoded water meters and transmits to the repeater or master. It is compatible with most main building utility meters and the GWF Encoded line of products. 2. RF – Network Diversity Repeater from QMC receives radio messages from MDTs and other repeaters and then transmits the message with its high power radio toward the data-collecting DCAP. The repeater extends the range of the two-way radio signals between MDTs and DCAP. 3. 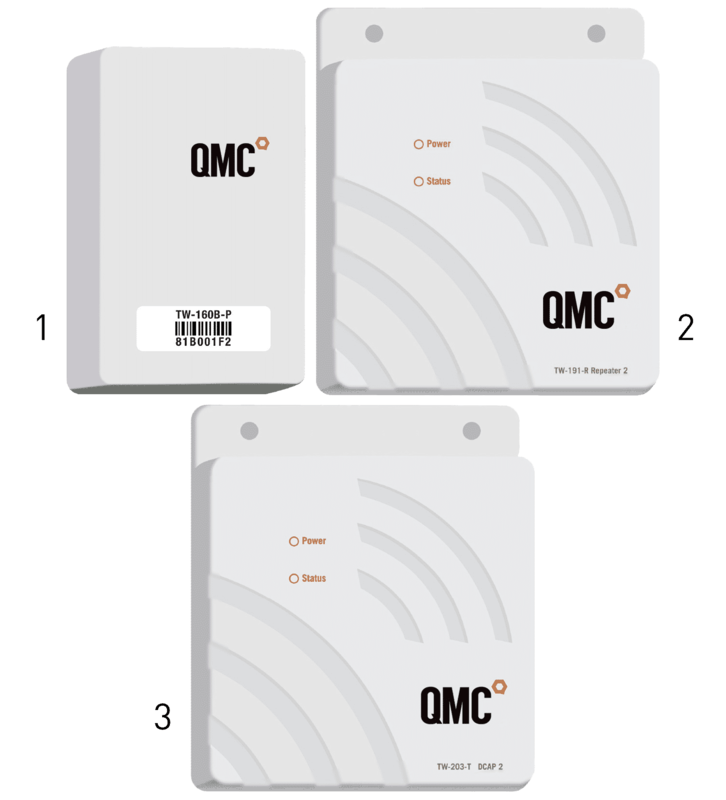 DCAP – The QMC Data Concentrating Access Point/Master is the heart of the system and incorporates a powerful computer and integrated radio transceiver. It communicates with the MDTs and Repeaters and stores all meter interval data. Call QMC to discuss your project and get a quote on a complete wireless water meter system. QMC provides an integrated solution for any of today's problems, whether new construction or retrofit projects. QMC is a leading provider of intelligent submetering solutions for large institutions, commercial and multi-residential properties and utility providers. From end-to-end meter measurement and data management solutions, to integrated metering and building utility management, we deliver the most innovative multi-utility submetering hardware, software and consulting to companies around the globe. © 2019 Quadlogic Meters Canada Inc.